Gottfried W. Leibniz was a noted German mathematician and philosopher. Check out this biography to know about his childhood, family life, achievements and interesting facts about him. Gottfried Wilhelm Leibniz was a noted German polymath, philosopher, meta-physicist, historian, lawyer and political advisor. Born in the same era as Isaac Newton, in his lifetime he was accused of plagiarizing Newton’s work, but since 1900, scholars have acknowledged that he developed differential and integral calculus, independently of Newton. Today, he finds an important place in the history of mathematics, being acknowledged also for inventing Leibniz's notation, Law of Continuity and Transcendental Law of Homogeneity. Moreover, his works on binary system form the basis of modern computers. 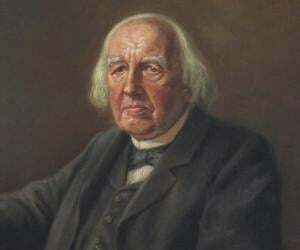 He was also a prolific inventor in the field of mechanical calculator, being first to describe a pinwheel calculator, later inventing the Leibniz wheel. In the field of philosophy, he views are considered optimistic and in metaphysics, he is best-known for his theory of monads, which he described as elementary particles with blurred perceptions of one another. Unfortunately, for a man as talented as he was, he received little appreciation during his life time and died a lonely death in Hanover; his funeral being shunned by all except his private secretary. Gottfried Wilhelm Leibniz was born on July 1, 1646 in Leipzig, Germany. His father, Friedrich Leibniz, was the Professor of Moral Philosophy and the Chairman of the faculty of philosophy at Leipzig University. He was also a lawyer and notary register. Gottfried’s mother, Catharina nee Schmuck, was his third wife. Gottfried was the elder of his parents’ two children, having a younger sister named Anna Katharina Leibniz Löffler. From his father’s two previous marriages, he also had five half-siblings; Anna Rosina Leibniz, Johann Friedrich Leibniz, Elisabeth Leibniz, Anna Magdalena Leibniz, and Susanna Leibniz. His father died in 1652. Thereafter, he was brought up by his mother, gaining his moral and religious values from her. These would one day play an important part in his philosophy. In 1653, he was admitted to Nicolai School in Leipzig, where his education was confined mainly to the study of a small canon of authorities. But at home, he had his father’s vast library opened to him and there he started reading books much advanced for his age. By the age of twelve, Gottfried had taught himself advanced Latin and also a little bit of Greek in order to read his father’s collection of books. By thirteen, he had gained enough expertise to be able to compose 300 hexameters of Latin verses for a school event. In April 1661, Gottfried Leibniz enrolled at the University of Leipzig with philosophy and mathematics. In addition to that, he also had to study rhetoric, Latin, Greek and Hebrew. Unfortunately, the standard of teaching in mathematics was not good at Leipzig. On June 9, 1663, Leibniz defended his baccalaureate thesis, ‘Disputatio Metaphysica de Principio Individui’ (Metaphysical Disputation on the Principle of Individuation), which earned him his bachelor’s degree in Philosophy. 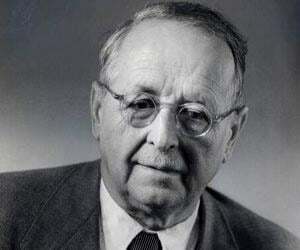 Thereafter, he spent the summer term at Jena, studying mathematics with Erhard Weigel. By October 1663, Leibniz was back at Leipzig, working for his M.A. in philosophy, defending his dissertation, ‘Specimen Quaestionum Philosophicarum ex Jure collectarum’ (An Essay of Collected Philosophical Problems of Right) on February 7, 1664. Thereafter he began to study law. On September 28, 1665, on defending his dissertation entitled ‘De conditionibus’ (On Conditions), he earned his bachelor’s degree in law. Next he started working for his habilitation, defending his thesis in March 1666. It was later published in book form as, ‘Dissertatio de arte combinatoria’ (On the Combinatorial Art). He next started working for his doctorate in law. But possibly because of his young age and limited tutorships in law, the University of Leipzig refused permission, as a result of which, he immediately shifted to the University of Altdorf. At Altdorf, he quickly submitted the thesis, which he had begun writing at Leipzig. Entitled, ‘Disputatio Inauguralis de Casibus Perplexis in Jure’ (Inaugural Disputation on Ambiguous Legal Cases), it earned him his doctorate in law and also his license to practice in February 1667. In 1667, on completion of his education, Leibniz received an offer from the University of Altdorf for an academic post; but as he had other ideas and dreams, he declined the offer. Instead, he took up the position of a salaried secretary to an alchemical society in Nuremberg. In Nuremberg, he met Johann Christian von Boyneburg, who immediately became his mentor, introducing him to Elector of Mainz, Johann Philipp von Schönborn. Impressed with his knowledge of law, the Elector asked him to assist with the redrafting of the legal code, a position he happily accepted. 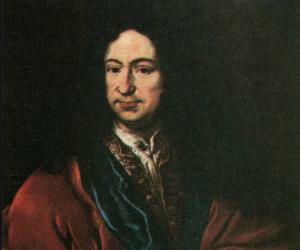 In 1669, Leibniz was appointed the Assessor in the Court of Appeal. In the same year, he received an invitation from John Frederick, Duke of Brunswick-Lüneburg to visit Hanover, but declined. At that time, King Louis XIV of France was posing a serious threat to Germany, which was already devastated by the Thirty Year War. In 1670, Leibniz published a pamphlet, in which he proposed a defensive coalition of the northern European Protestant countries. He also conceived a plan, through which he hoped to divert Louis XIV’s attention, by persuading him to engage in a holy war to non-Christian Egypt and later occupy territories under Dutch East Indies. This, he hoped would give Germany a chance to revive its economy. All the while, he continued with his intellectual pursuit, publishing his fourth book, ‘Hypothesis Physica Nova’ in 1671. By then, he had also started making a calculating machine, which he hoped would create an interest in the scientific fraternity. He also made contact with Oldenburg, the secretary of the Royal Society of London and Carcavi of the Royal Librarian in Paris, dedicating some of his scientific works to Royal Society and Paris Academy. He now wanted to meet them in person. The opportunity came when in 1672 Leibniz was invited by the French government to discuss his plan on Egyptian expedition. But as he reached Paris, the Franco-Dutch War broke out, making his plan irrelevant. But the visit proved profitable from a more important angle. In Paris, he met Dutch physicist and mathematician Christiaan Huygens and talking to him, he realized that his knowledge of mathematics and physics was highly superfluous. Under Huygens’ mentorship, he now began to study the subjects, gaining more in-depth knowledge in them. By early 1673, it was clear that France was in no mood to take part in the Egyptian mission. The Elector now sent Leibniz to England with similar objective. Their mission ended abruptly when the news about Elector’s death in February 1673 reached England; but Leibniz greatly profited from the visit. In London, he visited the Royal Society where he demonstrated his calculating machine, capable of executing the four basic operations. It led to his election as an external member of the Royal Society on April 19, 1693. With the death of Boyneburg in December 1672 and the Elector of Mainz in February 1673, Leibniz was left without a patron. Sometime in 1673, while he was living in Paris, Duke John Frederick of Brunswick offered him the post of counselor. Some time now, Newton, who was also working on the same subject, wrote a letter to Leibniz, in which he listed many of his results, without describing the methods. The letter took long time to reach Leibniz in Paris. Not realizing the situation, Leibniz thought he had time to answer the letter. Newton’s letter also made him realize that he must quickly publish a fuller account of his own method, which he did. Newton wrote another letter, accusing Leibniz of stealing his formula. In his reply, Leibniz provided certain details on his work, but the conflict continued to persist. 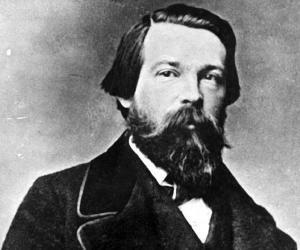 Although he would have liked to remain in Paris with a position at the Academy of Science no such offer came his way mainly because there were already too many foreigners there. Therefore in October 1676, he left for Hanover, making short visit at England and Holland on the way. If he had hoped to resolve his conflict with Newton during his visit to England, it did not happen. Ultimately, he reached Hanover in December 1676, remaining there for rest of his life. In Hanover, Leibniz was initially appointed librarian of the ducal library, where he was given mundane responsibilities like looking after general administration, purchase of books etc. In doing so, he established the foundation of library science. He also continued with his intellectual pursuit, developing a coherent system on calculus by 1677 and perfecting the binary system of numeration by March 1679. Towards the end of the same year, he proposed the basis for topology. Later he started working on his theory of dynamics. After the death of Duke John Frederick on January 7, 1680, his brother, Ernest Augustus I became the next ruler. Continuing to serve him, Leibniz suggested ways to increase linen production and techniques for the desalinization of water. 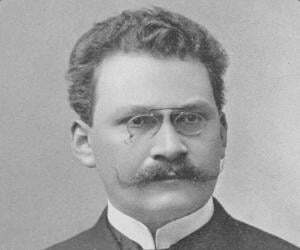 Concurrently, he continued to develop his theories in metaphysical system and mathematics. In 1682, he cofounded a journal called Acta Eruditorum with Otto Mencke, publishing most of his important papers in it until 1692. It also became his mouthpiece in his conflict with Newton, which continued until his death. In 1684, he began his studies on the resistance of solids. In the same year, he published ‘Nova Methodus pro Maximis et Minimis’ (New Method for the Greatest and the Least), which dealt in differential calculus. In 1685, he was named historian of House of Brunswick and was commissioned to write its history. He was expected to go back to the time of Charlemagne and prove that the House had its origin in the House of Este, allowing it to lay claim on ninth electorate. Beginning his travel in November 1687, he first traveled to Germany, from there to Austria and Italy, returning to Hanover in July 1690, collecting huge amount of material on the history of the House. Concurrently, he continued with his scholarly works, meeting scholars and publishing works everywhere he went. Wanting to write a meticulously researched history and busy with other projects, Leibniz failed to produce the book. By then, Ernest Augustus I had died and George Louis, the future British king, was the new Elector. Annoyed with Leibniz for his apparent procrastination, he began to treat him shabbily. In later years, Gottfried Leibniz lost much of his influence in the Court of Hanover and became more embroiled in his dispute with Newton with Royal Society taking Newton’s side. Yet, he continued to enjoy patronage of some powerful ladies, including Electress Sophia, Sophia Charlotte of Hanover and Caroline of Ansbach. In 1714, under the terms of the 1701 Act of Settlement, Elector George Louis became King George I of Great Britain. 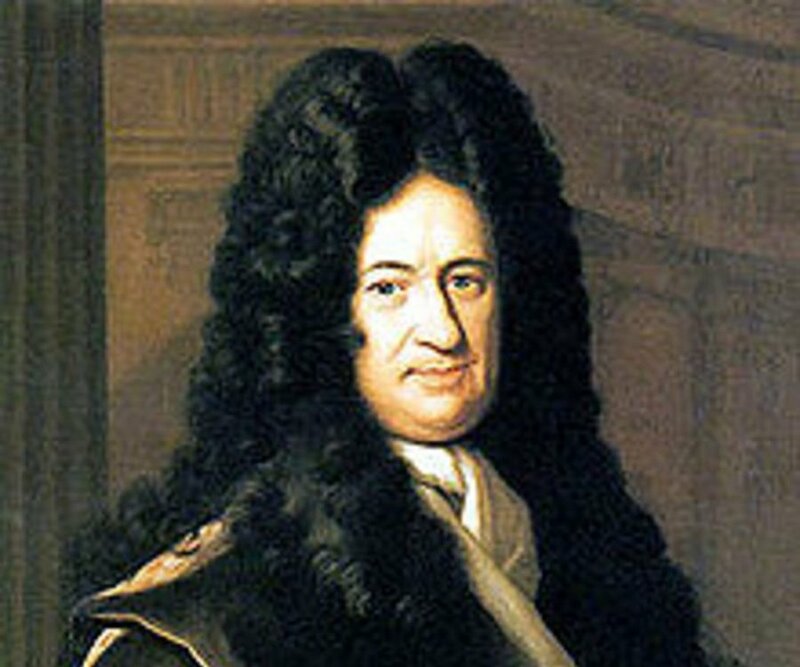 Although Leibniz had contributed significantly in finalizing the Act, George I forbade him to join him in London in fear of upsetting Newton and other dignitaries of the court. Today, Leibniz is best remembered for developing differential and integral calculus independently of Isaac Newton. Although scholars at that time accused him of plagiarizing Newton’s works, later writers have pointed out important differences between Leibniz's and Newton's versions of calculus, thus acquitting him of the charge. Gottfried Leibniz never married; neither did he have any other relative except his sister’s stepson, who was also his sole heir. At his death, he left him considerable sum of money. 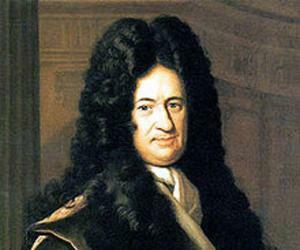 Leibniz died in Hanover on November 14, 1716. At that time, he was so much out of favour that nobody but his personal secretary attended his funeral. His grave also remained unmarked. Neither the Royal Society nor the Berlin Academy of Science, of which he was a life member, passed any resolution in his honor. However, he was eulogized before the French Academy of Science; but that too at the behest of the Duchess of Orleans.